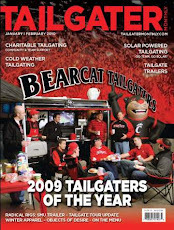 BearcatTailgater.com: Bearcat Tailgater Watch Party at the Holy Grail This Saturday!! Bearcat Tailgater Watch Party at the Holy Grail This Saturday!! That's Right Bearcats Fans!!! Bearcattailgater.com has teamed up with the Holy Grail Tavern and Grille to host the "Official Bearcat Tailgater Watch Party" for the remaining away games. If you've been to one of our tailgates, you know we know how to have a good time. Even if you haven't, we encourage ALL BEARCATS FANS to join the Bearcat Tailgate Crew this Saturday at 11:30 am for some great eats and icy cold brews as we cheer the Cats on to victory over the Huskies! Tell all your friends, call your mom, call your dad, call your brothers and your sisters because it's going down this Saturday. The Holy Grail is located at 13 W. Charlton Street (off of Jefferson ave.) in Coryville near UC. Beer specials include 22 oz. 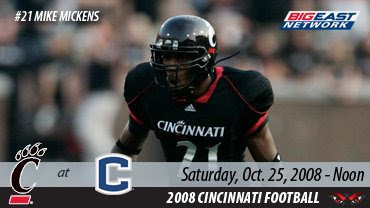 Bud Lites for $3.50 and the BTC will be unveiling our official game day drink "The Bearcat Bomb"!!! What's in a Bearcat Bomb??? You'll have to show up and have one with the crew to find out!!! We hope to see you there.... Go Cats!